You’re not alone, and it really does feel good to confess! Crocheters shed their deepest regrets, mishaps, and taboos with us live on Facebook. Here are our top three confessions, plus some thoughts on each one to help ease your conscience. 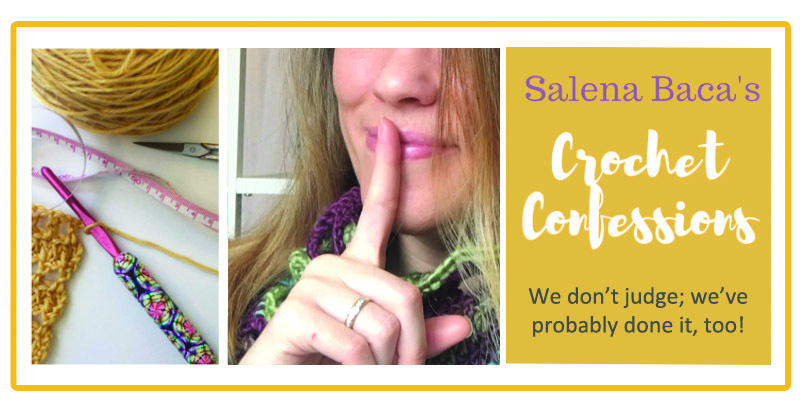 My crochet confession: I order/buy double the amount of yarn for almost every project I do. I’m so terrified of running out midproject. What really happens is that now, my stash is OUT. OF. CONTROL! OMG. OUT. OF. CONTROL! That’s okay, Marly—this can actually be a great idea, in moderation. I don’t suggest ordering double the amount of yarn for just any project, but if it’s big, complex, or requires a bit of practice and swatching, then having more yarn than you might plan to use is a great tip! Crochet confession: I have started five different blankets for my nephew who was born four months ago and don’t like any of them, so they are just sitting there with, like, ten rows done on each. 3: “Ain’t nobody got time for that,” I said, just before I frogged my entire project . . . I must confess: I have the habit of skipping the gauging part and have to go back and do it. If you’re not swatching for gauge, Mkay N Kevin Weber, you might not realize just how important your gauge is! Although gauge may not be crucial for every project, understanding it will make all the difference. Get in the habit of swatching for gauge and you’ll be able to complete a wider variety of projects, from clothes and shoes to hats and much more! 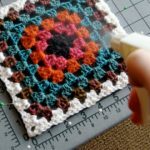 Do you have a crochet confession? Join Salena Baca live on our Facebook page. Follow Interweave Crochet on Facebook for details. We’ll choose our favorites to post on our blog. Will your confession be next? We’ve got your crafty back!